Stefan Werner (swerner) added a comment to D4704: Linking Embree Libraries Accordingly. Whatever makes the compiler happy is fine with me. Stefan Werner (swerner) updated the diff for D4686: Adaptive Sampling for Cycles..
Stefan Werner (swerner) committed rBffa55fbfdd7e: Merge 'master' into 'cycles_texture_cache' (authored by Stefan Werner (swerner)). Stefan Werner (swerner) committed rBcf6eb9a7f299: Merge 'master' into 'cycles_texture_cache' (authored by Stefan Werner (swerner)). Stefan Werner (swerner) committed rB6a5dc7124be7: Merge 'master' into 'cycles_texture_cache' (authored by Stefan Werner (swerner)). Antti Tikka (symstract) awarded D4686: Adaptive Sampling for Cycles. a Yellow Medal token. Stefan Werner (swerner) updated subscribers of D4686: Adaptive Sampling for Cycles..
@Wo!262 (wo262) This scene looks like it needs a lot more samples. The adaptive sampler can only pick up and resolve noise that it finds within the "min samples" it takes - if those initial samples turn out all black, the sampler has no reason to continue sampling this seemingly uniform pixel. Cycles: Fixed a typo in sample_is_even(). For (Forshu) awarded D4686: Adaptive Sampling for Cycles. a Love token. Daniel Salazar (zanqdo) awarded D4686: Adaptive Sampling for Cycles. a Love token. Jonathan Lampel (jonathanl) awarded D4686: Adaptive Sampling for Cycles. a Love token. Marcin Twarowski (Tvaroog) awarded D4686: Adaptive Sampling for Cycles. a Hungry Hippo token. Alex (Alex108) awarded D4686: Adaptive Sampling for Cycles. a Love token. Duarte Farrajota Ramos (duarteframos) awarded D4686: Adaptive Sampling for Cycles. a Yellow Medal token. Stefan Werner (swerner) added a comment to D4686: Adaptive Sampling for Cycles.. Cycles: Moved "Adaptive Sampilng" option out of the advanced section in the UI. Luca Rood (LucaRood) awarded D4686: Adaptive Sampling for Cycles. a Love token. Lucas Boutrot (thornydre) awarded D4686: Adaptive Sampling for Cycles. a Love token. Benjamin Sauder (kioku) awarded D4686: Adaptive Sampling for Cycles. a Burninate token. Marco G (marcog) awarded D4686: Adaptive Sampling for Cycles. a Mountain of Wealth token. ogierm (ogierm) awarded D4686: Adaptive Sampling for Cycles. a Love token. Mandeep (mandeep) awarded D4686: Adaptive Sampling for Cycles. a Love token. Adam Friesen (ace_dragon) awarded D4686: Adaptive Sampling for Cycles. a Mountain of Wealth token. Christian Friedrich (rbx775) awarded D4686: Adaptive Sampling for Cycles. a Love token. dorian (helloidonthaveanyideaformyusername) awarded D4686: Adaptive Sampling for Cycles. a Like token. Emir Sinan Gürlek (filibis) awarded D4686: Adaptive Sampling for Cycles. a The World Burns token. Jason Clarke (jtheninja) awarded D4686: Adaptive Sampling for Cycles. a Like token. Julian Perez (julperado) awarded D4686: Adaptive Sampling for Cycles. a Love token. Steffen Dünner (SteffenD) awarded D4686: Adaptive Sampling for Cycles. a Love token. Irfan Celik (irfan) awarded D4686: Adaptive Sampling for Cycles. a Love token. Characterhero (TheCharacterhero) awarded D4686: Adaptive Sampling for Cycles. a Like token. YAFU (YAFU) awarded D4686: Adaptive Sampling for Cycles. a Like token. Matej Junk (MJunk) awarded D4686: Adaptive Sampling for Cycles. a Like token. Wo!262 (wo262) awarded D4686: Adaptive Sampling for Cycles. a Love token. Brecht Van Lommel (brecht) awarded D4686: Adaptive Sampling for Cycles. a Party Time token. This is substantial patch and obviously not intended for 2.80. There is still room for improvement, I hope to add more comments/documentation, deduplicate some code and take a closer look at the overall code style. Stefan Werner (swerner) added reviewers for D4686: Adaptive Sampling for Cycles. : Brecht Van Lommel (brecht), Sergey Sharybin (sergey), Cycles. Stefan Werner (swerner) created D4686: Adaptive Sampling for Cycles..
Stefan Werner (swerner) updated the diff for D4676: Cycles: Improved sampling for sphere lights.. Cycles: Added const to some variables. Stefan Werner (swerner) added a comment to D4676: Cycles: Improved sampling for sphere lights.. Both RenderMan and Arnold have sphere lights that emit to the outside only. If desired, I can also change it to make the sphere a double-sided emitter by switching to uniform sampling when the shading point is inside the sphere (this is what PBRT does). There is a slight performance hit from the more complex sampling. Haven't done extensive benchmarking, but a test scene I measured went from 58s -> 59s CPU render time. 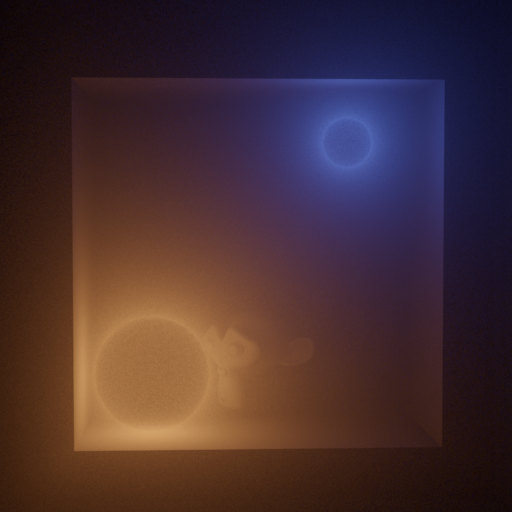 Stefan Werner (swerner) added a project to D4676: Cycles: Improved sampling for sphere lights. : Cycles. 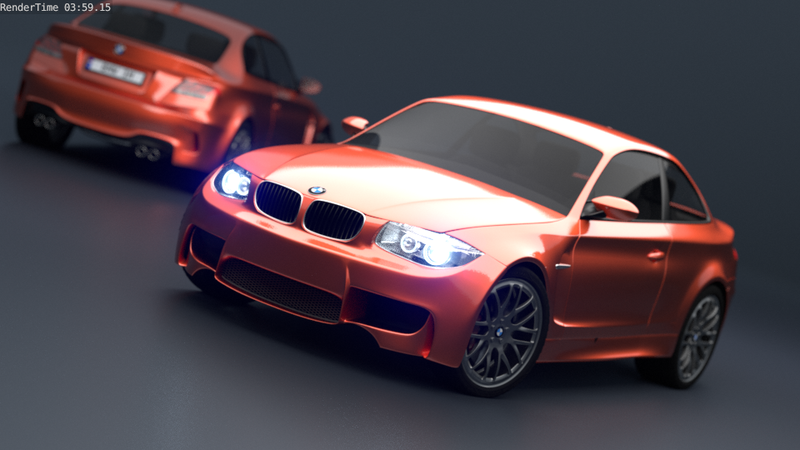 Stefan Werner (swerner) created D4676: Cycles: Improved sampling for sphere lights..
Stefan Werner (swerner) updated the diff for D4304: Compositor: Added denoising node. Added support for debug versions of OpenImageDenoise Windows DLLs. Compositor: More fixes for OIDN build on Windows. YAFU (YAFU) awarded D4304: Compositor: Added denoising node a Like token. Adam Friesen (ace_dragon) awarded D4304: Compositor: Added denoising node a Love token. Fixed padding for OIDN node. build_environment: OpenImageDenoise fixes for Linux and Windows. build_environment: Fixed Windows build with static OpenImageDenoise. Viktor Mukayev (vitos1k) awarded D4304: Compositor: Added denoising node a Love token. Stefan Werner (swerner) added a comment to T62771: Cycles motion vector pass not synced correctly. Nevermind, I wrote this up prematurely. Need to double-check things first. Stefan Werner (swerner) closed T62771: Cycles motion vector pass not synced correctly as Invalid. Stefan Werner (swerner) updated the task description for T62771: Cycles motion vector pass not synced correctly. Stefan Werner (swerner) added inline comments to rB01df4818a6e1: Fix Cycles curve UVs wrong after recent changes..
Stefan Werner (swerner) added a project to T62771: Cycles motion vector pass not synced correctly: Cycles. Stefan Werner (swerner) assigned T62771: Cycles motion vector pass not synced correctly to Brecht Van Lommel (brecht). Stefan Werner (swerner) created T62771: Cycles motion vector pass not synced correctly. Stefan Werner (swerner) committed rB69fb859909c8: Merge branch 'blender2.7' of git.blender.org:blender (authored by Stefan Werner (swerner)). Stefan Werner (swerner) committed rB63cb78955153: Cycles: Made Embree ignore curve intersections with SSS. (authored by Stefan Werner (swerner)). Stefan Werner (swerner) committed rB5eb38df4afac: Cycles: Performance optimization for Embree, resizing arrays once instead of… (authored by Stefan Werner (swerner)). Stefan Werner (swerner) raised a concern with rB9873005ecd7c: Cleanup: simplify kernel features definition..
Stefan Werner (swerner) added a comment to rB9873005ecd7c: Cleanup: simplify kernel features definition.. This broke OpenCL/AMD on Windows. See inline comment. arindam (Arindam) awarded rB47da8dcbcad4: Cycles: Improved thread order for better CUDA performance. a Like token. Stefan Werner (swerner) added a comment to rB47da8dcbcad4: Cycles: Improved thread order for better CUDA performance..
For those who are using the scrambling distance patch, this change is trivial to remove. I haven't tested it myself yet, but I too would expect this to negate some of the performance benefits from the scramble distance patch. Bohdan Lvov (ostapblender) awarded rB47da8dcbcad4: Cycles: Improved thread order for better CUDA performance. a Burninate token. Marco G (marcog) awarded rB47da8dcbcad4: Cycles: Improved thread order for better CUDA performance. a Love token. Stefan Werner (swerner) committed rBd8f1b18d9b74: Merge branch 'blender2.7' of git.blender.org:blender (authored by Stefan Werner (swerner)). Stefan Werner (swerner) committed rB47da8dcbcad4: Cycles: Improved thread order for better CUDA performance. (authored by Stefan Werner (swerner)). Stefan Werner (swerner) committed rB7be7f1a884cd: Merge branch 'master' of git.blender.org:blender into cycles_texture_cache (authored by Stefan Werner (swerner)). 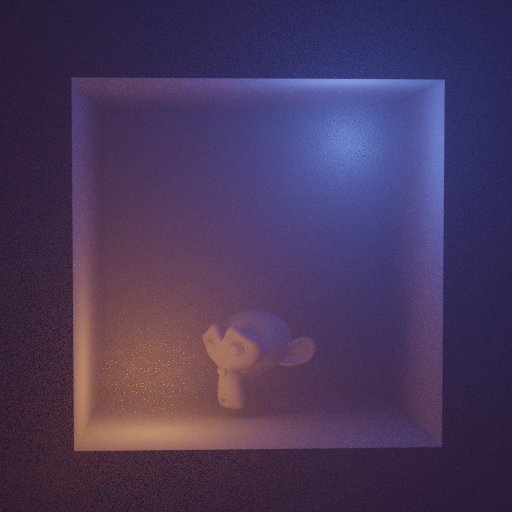 Stefan Werner (swerner) added a comment to D4304: Compositor: Added denoising node. FYI, I'm waiting for Intel to release the next version of OIDN that can build as a static library. Juan Gea (juang3d) awarded D4459: Cycles: Added fix for bump terminator problem. a Yellow Medal token. Stefan Werner (swerner) added a comment to D4459: Cycles: Added fix for bump terminator problem.. I'm not expecting this patch to land right away, this should probably undergo some wider testing before we can declare it safe. Duarte Farrajota Ramos (duarteframos) awarded D4459: Cycles: Added fix for bump terminator problem. a Yellow Medal token. Applying this to specular shaders introduces new artifacts, so it's only applied to diffuse BSDFs for now. Stefan Werner (swerner) added a project to D4459: Cycles: Added fix for bump terminator problem. : Cycles. This patch does not fix T37814. Stefan Werner (swerner) created D4459: Cycles: Added fix for bump terminator problem..
Stefan Werner (swerner) added a comment to T37814: Artifacts in Cycles render for lowpoly models.. The fix in "Ray Tracing Gems" applies to a slightly different problem. Stefan Werner (swerner) committed rB304a89eccfff: Cycles: Changed standalone XML parser to read UV as float2 (authored by Stefan Werner (swerner)). Stefan Werner (swerner) committed rBc891fb2fbe99: Merge branch 'blender2.7' (authored by Stefan Werner (swerner)). Stefan Werner (swerner) committed rBdb7f9a70b0ad: Cycles: Added Float2 attribute type. (authored by Brecht Van Lommel (brecht)). Cycles: Added Float2 attribute type. Stefan Werner (swerner) closed D4409: Cycles: Added Float2 attribute type..
Stefan Werner (swerner) added a comment to D4409: Cycles: Added Float2 attribute type.. Updated tangent space calculation and OSL attributes to use new float2 attributes. Stefan Werner (swerner) updated the diff for D4409: Cycles: Added Float2 attribute type.. Cycles: Fixed OSL support of float2 attributes. Cycles: Fixed Tangents with float2 attributes. Stefan Werner (swerner) awarded D4393: Use static libstdc++ when making a static build a Love token. Stefan Werner (swerner) committed rB1915b5338b4d: build_environment: Fixed `make deps` on macOS (authored by Stefan Werner (swerner)). cgslav (LukeD) awarded D4304: Compositor: Added denoising node a Love token. This can save quite some memory. For example, the Agent 327 03_01_B shrinks its peak Mem from 10931MB to 10226MB, that is without this patch, Cycles is allocating >700MB of zeroes. Stefan Werner (swerner) added a project to D4409: Cycles: Added Float2 attribute type. : Cycles. Stefan Werner (swerner) created D4409: Cycles: Added Float2 attribute type..
What are you doing to get Albedo > 1? I didn't see that happen in my test scenes. Adding clamping to the albedo input will be easy though. Stefan Werner (swerner) added a comment to rB64671e53d20c: Build script: Don't use external Pugi for OSL. Yes, reverting it allowed make deps to succeed. Stefan Werner (swerner) raised a concern with rB64671e53d20c: Build script: Don't use external Pugi for OSL. This boke make depsfor me. When I test this on a brand new Ubuntu 16.04, OSL fails to find pugixml. Juan Gea (juang3d) awarded D4304: Compositor: Added denoising node a Love token. Stefan Werner (swerner) added a comment to D4257: OpenMP support for macOS. Yes, projects created with cmake -G Xcode create the datatoc and other binaries in a subdirectory named after the current inside bin.